Victorian houses were built to last, and they tend to hold their value well. But what are the best options if you decide to update and transform yours? Victorian houses are known for their elegant architecture and ornate detailing. But these generously proportioned homes also tend to be sturdily built, making them popular options for home renovation projects. With clever additions, an exterior makeover, and a rework of their layouts, they make fine homes for the 21st century. Read on to find out what type of work can be done to the exterior and interior of your Victorian home. For more detailed home renovation advice, see our essential guide. What changes can you make to a Victorian home? converting the basement to provide living space. Secondly, you must think about how much original detail you want to retain. It’s better to restore than remove things that give your home character, which can mean buying costly authentic – or authentic-looking – products and materials. How much does it cost to renovate a Victorian house? The specification will affect costs especially when it comes to joinery, flooring and fittings such as lighting and ironmongery. Grander Victorian homes would have had more intricate finishes than the average workers' cottage, so expect to pay more for fancy tiling or finials. Character bricks cost £1,020 to £1,140 per 1,000, compared to stock bricks at £420 per 1,000. Welsh roof slates can cost £95 per square metre against £24 per square metre for modern large-format concrete interlocking tiles. Decorative roof details will also add to the labour and materials costs. If you have windows that need replacing, you’ll need to get a quote from a joinery supplier for bespoke designs. Budget around £500 per window for timber casements, but sash windows will be upwards of £1,000. Standard ceiling finishes cost around £20 to £24 per square metre, but if you’re adding decorative coving, ceiling roses and other decorative plasterwork, you will need to budget for extra. A radiator system with gas boiler and basic controls costs around £22 to £28 per square metre, while you’ll need to allow £36 to £48 per square metre for underfloor heating. Extending will be from £1,200–£1,500 per square metre for a two-storey extension. A room-in-roof loft conversion – sometimes known as a rooflight loft conversion – will cost from £1,000 per square metre. If your property's exterior isn’t too badly damaged, it’s best to try to restore it. Breathable lime – rather than cement – should be used for the pointing, while the odd brick can either be patched with lime mortar coloured with brick or stone dust, or its face cut out and replaced with a matching brick slip. Find out more about repairing old brickwork in our guide. Failing that, an exterior render could be applied and painted – again using a breathable lime render rather than cement – see our guide to exterior render for more information. For extensive repairs, you’ll get the best results by appointing a company that specialises in restoring the exterior of period properties. If possible, it’s best to restore the originals, particularly when they contain coloured glass. If not, replace with timber-frame double-glazing that looks just like the old windows (like-for-like replacement may be a condition if you live in a Conservation Area). See our guide to maintaining timber windows for more details. For a contemporary finish, try a darker colour for paintwork, such as grey or black, rather than white. ‘Paint frames or ledges to make them stand out,’ says Cato Cooper, co-owner of The Emporium Somerset. Use a sash window specialist, such as Ventrolla, which works nationwide. If the original front door has been swapped for a cheap or out-of-character replacement at some point, it’s well worth installing a new door. The neighbourhood may offer clues as to how your original door might have looked; then you can shop for – or have made – a sturdy new one that’s as near to original as possible. Think solid, panelled doors, perhaps with glazing in the upper half. Stained and etched glass was usually included in Victorian designs, so installing this in your new door will add to the authentic look of your exterior. Our guide to choosing a new door will be a helpful aid. It might be possible to repair and repaint your original door, too. Use our guides to restoring an original front door and painting a door to get the best results. Your original roof will almost certainly have been Welsh slate – and ideally, you should try to replace it like-for-like. If this is beyond your budget, you can try repairing your old roof instead; imported slate may be cheaper and is a decent match. Avoid artificial slate lookalikes if you can, unless the pitch on your roof is very shallow and it will remain largely unseen. If it’s just a case of replacing a few broken slates here and there, you may be able to pick some up at a salvage yard, or source from salvo.co.uk, where you may also find authentic roof fittings. It’s highly unlikely you’ll be able to unearth an entire encaustic path at a salvage yard, but if you only have a few damaged tiles to replace here and there, these are good places to start your search. If your original path is long gone, take a style cue from any remaining encaustic tiles to buy a convincing lookalike. Your hallway floor tiles may remain – picking tiles for your front path to match or complement them will make it look authentic. Failing that, use neighbours' original paths as a starting point. Can you extend your Victorian home? Adding an extension to a Victorian home may be the best remedy to a small, dark kitchen. This can be a great way to create a light-filled open-plan space, without having to overhaul the existing floorplan or remove period features. Small rear extensions may also fall under your permitted development rights meaning they don't require planning permission. ‘If you’re thinking of extending, it is important that you are clear what the boundaries of the property you want to buy are,’ says Sarah Slade, senior residential property executive at solicitors Barlow Robbins. ‘This can be checked against the title plan. 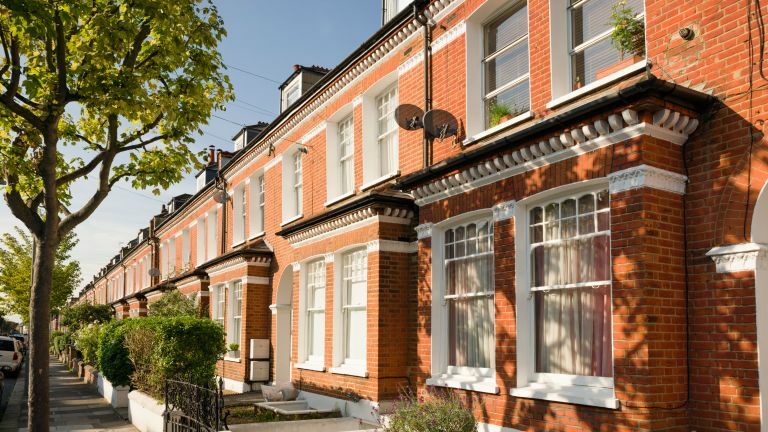 Consider whether any adjoining walls are party walls, as if you are proposing major structural work to a terraced or semi-detached property, you may need to enter into a party wall agreement, so seek a surveyor’s advice. To allow you to get that much-desired open-plan kitchen, perhaps with a utility room or cloakroom included, a smart investment would be a side-return extension for a terraced house. A full-width rear extension added under permitted development might be more effective for a semi-detached or detached house. Typical costs would be from around £1,700 per square metre for a single storey extension, or from around £1,500 per square metre for a two-storey extension. Much of your family time will be spent in this generous space, with the cosier, original rooms at the front of the house reserved for evenings. Read our guide to extending a Victorian house for specifics. ‘The cost of upsizing has also resulted in an increase in loft conversions, which can cost anything from £25,000 to around £70,000 (or around £1,000 per square metre). Not every house is suitable due to the pitch of the roof or a lack of space for a second staircase. But the best include high vaulted ceilings, an en suite bathroom and a guest bedroom or master suite. Basement conversions have also become popular recently. If you have an existing cellar with tanking, insulation, running electrics, heating and plumbing already done, then improving ventilation, plastering and decorating will cost around £1,500 per square metre upwards. Expect to pay more for minor digging out to improve ceiling heights. Constructing a brand-new basement conversion, including light wells, will cost upwards of £2,000 per square metre. For existing architecture, aluminium bi-fold doors offer both strength and weight, allowing for slim, aesthetically pleasing frames. Stick to muted shades of cream, dusky greens and blues in keeping with a period property, with powder-coated aluminium doors offering a range of colours to blend in or match. ‘It is integral to respect what you have to work with in order to get the most out of a renovation,’ continues Will Herrmann. ‘Original brickwork, corbelled cast-iron columns and timber sleeper beams can all be incorporated into a design.’ Try The Victorian Emporium for authentic light switches, ceiling roses and coving, radiators, door handles and window fittings. ‘People sometimes carry out misguided ''improvements” that turn out to be damaging,’ says Ian Rock of Rightsurvey.co.uk, and author of the Haynes Victorian House Manual. ‘Avoid ripping out original features such as fireplaces, cornices and sash windows. Worst of all, covering old brick or stonework with artificial stone cladding can instantly knock thousands off the value. ‘It’s not unusual for Victorian houses to have the odd damp patch or boreholes in floorboards from woodbeetle. The main worry with damp in the walls is that nearby timber floors could be at risk of rot. But there’s a lot of hype about “rising damp” – the solution is to fix any leaking pipes and gutters, worn windowsills, and excessive indoor condensation. Also, make sure the outside ground levels are at least 200mm below the internal floor, and that there’s a good air flow under the ground floor via air bricks in the main walls. The typical layout of a Victorian house features generous-sized, but separate rooms, so the most obvious way to change it is to knock through, turning small, dark spaces into larger, brighter ones. A through-living room, makes a great family space that’s lit from both ends. You can put internal doors between the two parts of the room to make the spaces more versatile. Removing the wall between the hallway and front reception room can make a smaller, terraced house feel both more spacious and lighter. You could also consider removing part-walls, swapping solid walls for internal glazing or interior doors, or replacing ugly post-war bannisters with glazed ones. Read our guide to creating an open plan layout in an old home to get the best results. Repairing minor damage to original encaustic tiles in a hallway needn’t be expensive; it might be possible to replace them with the odd salvage yard find. If you can’t discover what you’re looking for there, modern-day encaustic tiles come in convincing Victorian-style colours and shapes. If it comes to laying down an entire an encaustic floor and you want it to look as authentic as possible, ask neighbours if you can see their original tiles and source a similar design. Or, you could add a new twist with a modern encaustic tile design. ‘Often, the floors in the reception rooms of Victorian homes were wooden floorboards, so check under carpets, sand and reseal the floor to show off the bare boards,’ says interiors expert Cato Cooper. For a light, contemporary finish, lime the floorboards; for a more dramatic look, apply a dark, nearly-black stain, and finish with a matt varnish. Read our guide to repairing wooden floorboards for the best results. Whether your choice of kitchen and bathroom furniture is contemporary or traditional, highlighting your property’s architectural features as part of the design will give the rooms both character and a unique, bespoke feel. ‘High ceilings, chimney breasts, alcoves, beams and stunning cornicing can all be incorporated into a kitchen design for dramatic effect,’ advises Tory Summers of Benchmarx Kitchens and Joinery. ‘For instance, using alcove space to house essential appliances or pan drawers can give you the convenience of a modern kitchen while enhancing unique features. To make the most of beautiful period coving and ceiling features, you don’t have to choose traditional-style kitchen units with a period feel; instead, crisp lines and curved cupboards can work perfectly to give the room balance and texture. Use our guide to creating Victorian and Georgian kitchens to get the right look. ‘Where possible, choose to replicate original fixtures and fittings,’ says interior designer Rebecca Hughes. ‘It’s about making your period home functional while still preserving the character. It’s possible to find some amazing products – like fireplaces or bath fittings reminiscent of the Victorian period, but which offer today’s level of efficiency. See our gallery of dark and dramatic room schemes for design inspiration.